This Bridal Bells ring is crafted with 59 diamonds to dazzle those around you. The ring is crafted out of 14 karat White Gold. 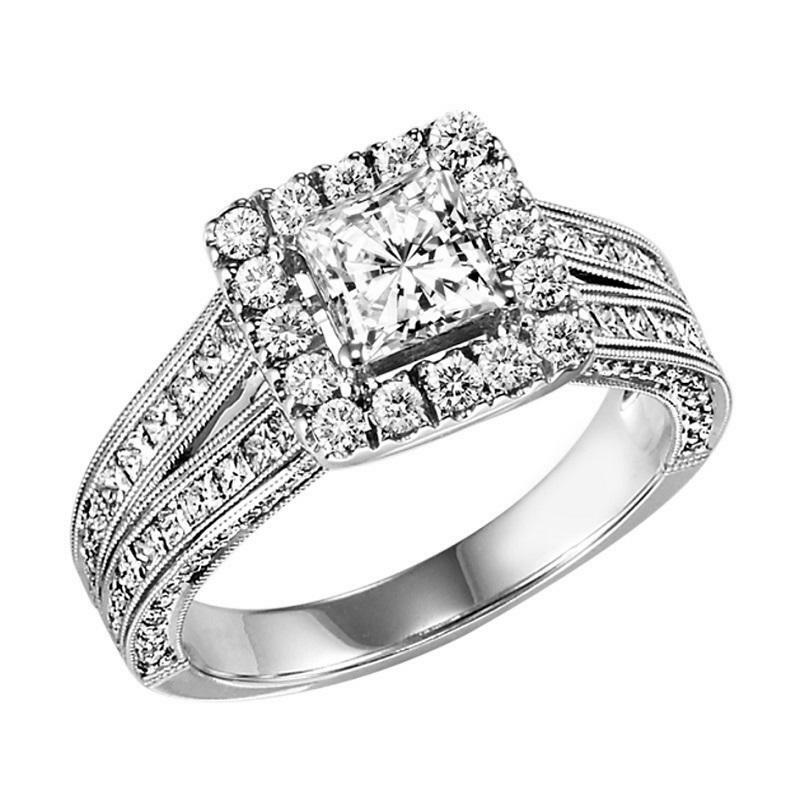 Total diamond weight is 1 Ctw and has 3/4 ct Princess Cut Center diamond.